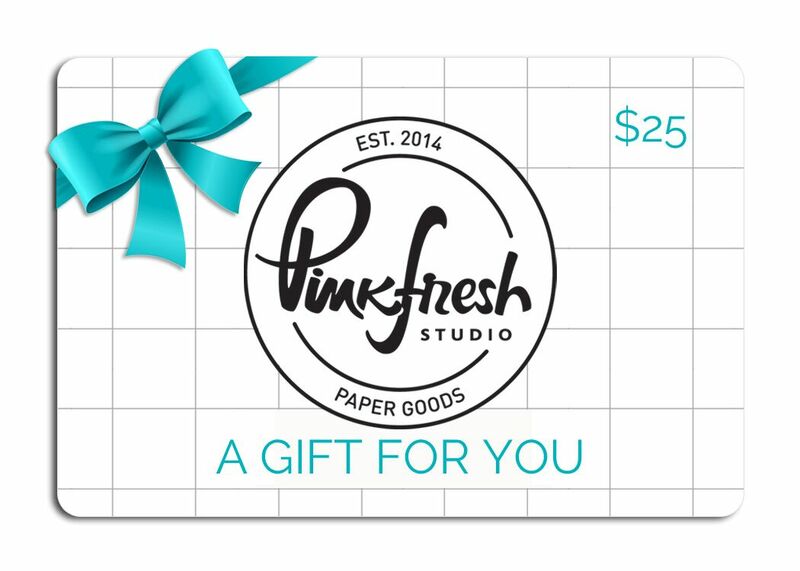 Welcome to the Pinkfresh Christmas blog hop. I'm delighted to be joining along, and we are hopping for not one, but TWO full days! We're so excited to be sharing a heap of inspiration with you. And as always, many fabulous prizes are up for grabs! Here are just some of my favorite Pinkfresh Holiday designs that you will see featured on this hop and that I have been loving personally. Or you can see all of them here. 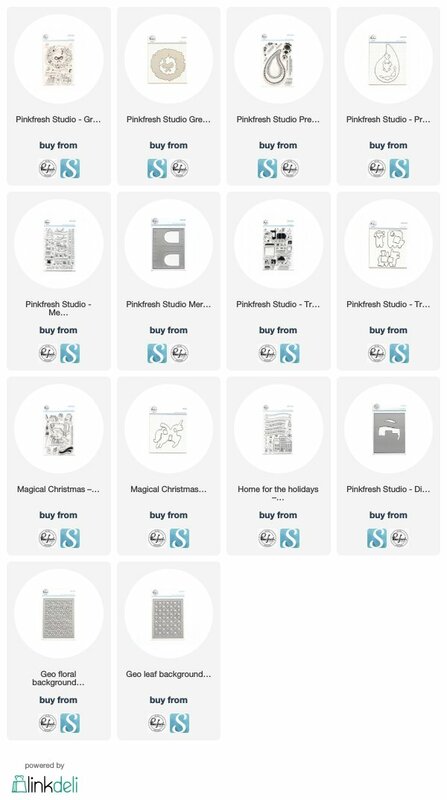 I've also included a few handy text links below with all the remaining products used on my cards today. The Pinkfresh Studio Blog will be giving away two holiday stamp bundles and all you need to do is comment there. You will have until November 11th to post a comment on either day's blogs, and the winners will be posted on Sunday, November 11th by 2pm CST on the Giveaway Page. Please be sure to check this page and claim your prize within two weeks. Last but not least, I have a wee Winter-y creation for you. I hope it will inspire some cozy crafting in the days to come! 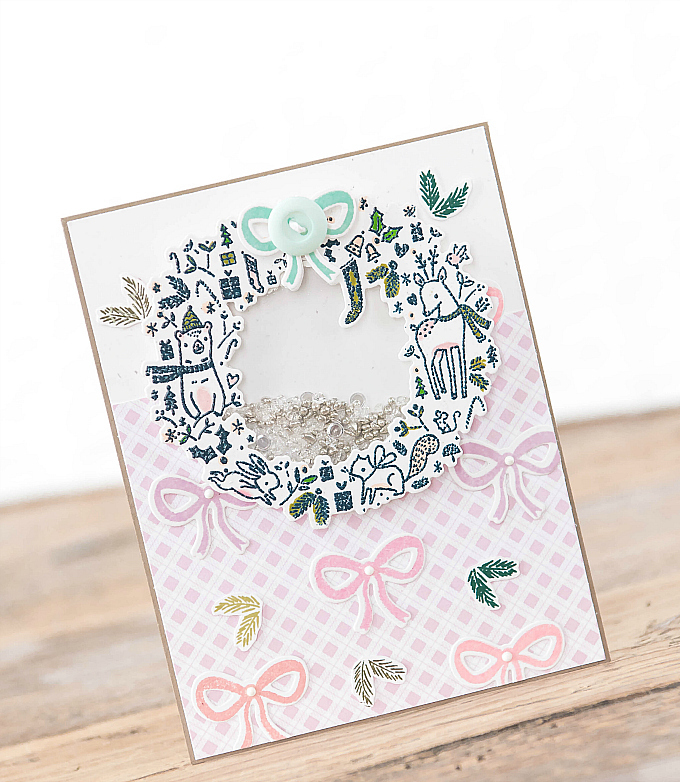 For my untitled card, I wanted to make the beautiful wreath from the Great Joy stamp set stand out as much as possible. It's so pretty and sweet, with all the little woodland creatures, twigs, and holiday motifs. I thought the best way to showcase it would be to emboss the image in a bold color (I used indigo blue here) and do some selective coloring with my Zig Real Brush markers. I used the markers without any water, for a more saturated look, but I think any markers you have on hand could work here - such as Copics, Spectrum, Distress, or even the beautiful Pinkfresh watercolors. At the top of the wreath, I added a bow (included in the set) and a few little evergreen sprigs. To make it stand out even more, I decided to turn the wreath into a shaker. I simply backed the die-cut with some clear cardstock, and then backed it with adhesive foam (it's important that there are no breaks in the adhesive and that it lines the entire circumference of the wreath). I then hand-cut a roughly matching cardstock base, filled the shaker with bits and bobbles, and adhered the hand-cut backing. To decorate the rest of the card, I used the lovely gingham print from Pinkfresh Simple and Sweet collection, along with a few more stamped bows and sprigs. I used PTI colors of Melon Berry, Lilac Grace, Lovely Lady, Spring Moss, and Pinefeather. I hope you've enjoyed my card today and that you'll head on over to next stop and check out what Kathleen Graumuller has in store for you! And just in case you've lost your way, here is the full hop list for today. Thank you for joining us and happy hopping! Ivana, your 'wee Wintry' creation has major impact in being absolutely gorgeous! The pretty wreath, the sweet bows, the shaker element: a wonderful combination! Christmas spirit soaring in seeing this inspired, inspiring festive delight! Oh my, such a cute and adorable card!! Very soft colors, I love the pinks!! The bitscand bobbles are perfect!! Wow! Thanks for sharing this lovely shaker card. Just bought this great joy die and stamp set and can't wait to use it! Esp with such inspirational designs being provided on this hop. Thank you! Super Sweet Ivana ! Everyone loves to receive a shaker too, so great idea. This is my favorite from the hop because you've added so many lovely elements to your card! Really like the bold color embossing. What a cute wreath (love how it looks doodled), and background too! I love this wreath so much. You made it even more lovely by adding the shaker element. Nicely done. What a great idea - shaker wreath! PF is so lucky to have you showcasing their products, Ivana! I'll have to add PF to my stash as soon as I can! This is gorgeous!! I love the shaker wreath and your use of those little bows. FABULOUS design!! What a cute, sweet card! Love the shaker wreath. Congrats on guesting for the hop Ivana, it's well deserved! Your card is delightful. I like those sweet little animals and all of the pretty little bows! What a BEAUTIFUL WREATH! I love the colors you chose! So creative! And it's a shaker, my favorite. Now that is a shaker card - absolutely beautiful. Your attention to detail is amazing, its looks fabulous. This is such a pretty card. A holiday wreath with the cute creatures is sure to bring a smile to anyone's heart. Oh, this is such a creative twist using the wreath! I love the shaker element and all the sweet bows. Love that you made a shaker card with this wreath, Ivana! So pretty! This is an awesome idea for a shaker! It is SO pretty, and I love the soft, fresh colors too! Very nice! Love your charming and whimsical card! Great design. This wreath is so adorable. I love the way you jazzed it up on this card with the indigo embossing. Such a sweet card. Love the gingham background a d the wreath. Oh Ivana, what a pretty shaker card. The pastel shades are awesome with those sequins. ♥ IT! Love your colorful wreath card! Thank you for sharing! Your shaker card is so lovely! So pretty! Love that wreath and it is a shaker! Such a sweet card - love the non-traditional colors! That's really pretty, thanks for your inspiration! This is one of the cutest wreath stamps I have seen. Love the card. It is very pretty. Terrific card! Beautiful design and so festive. What a sweet wreath--love it! a wreath and a shaker card, love!!! Making it a shaker card gives it a whole new wow factor--- love it! How unexpected to make a blue wreath, I love non-traditional color schemes. So pretty! I just got this set, and I love it! So pretty embossed in blue with the bow paper you created! Hi Ivana. LOVE the pretty wreath you created and those pretty pink bows. It's such a sweet card! Thanks for sharing. I usually have trouble with wreaths, but you have given me inspiration with this card. Wonderful card! So full of fun and merriment. Love the shaker. Such a lovely wreath card! Thank you for sharing! What an adorable card Ivana! It is so precious and I like ve the way you used the bows near the bottom as well. Gorgeous wreath - so many cute elements in that card. Thanks for sharing! Great card and I love that you made it into a shaker with beautiful silvers. Such a pretty card with all the bows! Love your adorable shaker wreath. I love the whimsical wreath- looks great as a shaker. And the tiny bows are so sweet! A truly great card! WOW!!! I love the shaker element, it's been a while since I have seen a good shaker!! Great job!! Your wreath card is so sweet! I love that you made the wreath into a shaker - I hadn't thought about doing that. The blue embossing is so pretty with the light wash of color on the images. Beautiful shaker card! The Great Joy set is my favorite! Charming critters on this sweet wreath! Gorgeous card!! I love how you did the background!! Very pretty Card. I love wreath Stamps & Dies. I love the shaker card, and all the glitter inside of it! Such a pretty pretty card. Really like the wreath in that stamp set! What a fun color palette this is! I never would have gone for the coral/pink/purple gingham with the more wintery greens and blues, but I really like how this turned out. 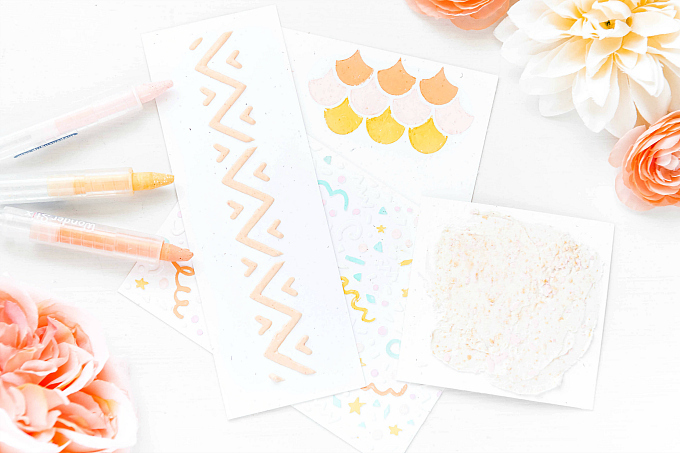 It perfectly suits the whimsy of these stamps. Thanks for sharing! Such a great idea to make it a shaker! truly stunning! Love the wreath and how you turned it into a shaker card - very pretty. All those bows add such a great touch!